Work piece will happen internal plastic deformation after machining by cutters. The degree of plastic flow directly affects the chip types. The basic forms include three types: discontinuous chip, continuous chip and continuous chip amass of edge incision. 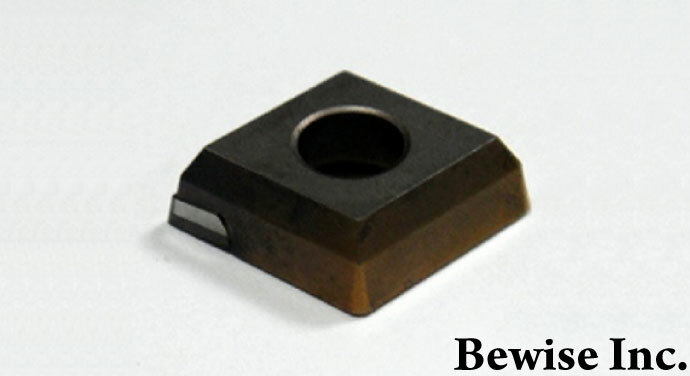 It means chips become broken pieces before it departs from the cutter.It is often happened in high brittle materials, such as cast iron or bronze.Because the chip forms then broken off promptly,which won’t have pressure for the tool surface, the remainder of the irregular surface, it’s easy to be cut, so it can get a more flat surface. And lower the pressure of the tool surface, less wear happened,so the tool life is longer.Such as discontinuous chip caused by higher friction coefficient or higher soft ductile materials, it means poor cutting conditions. For low & soft ductility and low coefficient material, the metal has a continuous deformation, liquidity, and stable affect on the tool during cutting. Therefore, both in surface accuracy and tool life, it is a very reasonable chip, and convenient for the analysis of the cutting force. 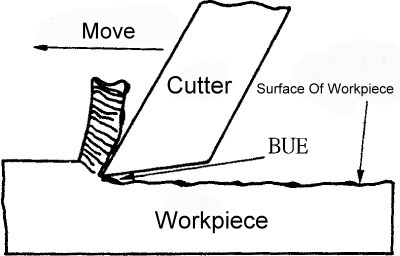 BUE, referred to the material of high soft ductile and friction coefficient during cutting process, due to the high pressure between the friction coefficient and the chip, resulting in a number of particles bonded in the surface of the tool, when cutting process goes on, there is more bonding material accumulation, at last the chips drained away when it accumulates into the appropriate height, or it embedded itself in a part of the work surface. Since this effect is recurrent in period, so the shine and smooth of the machined surface much lower than continuous chip surface. In general, this phenomenon can be reduced by reducing the chip thickness and increasing the inclination. The cutting speed is too low when cutting ductile materials. The ductility of work material is more adhesive. 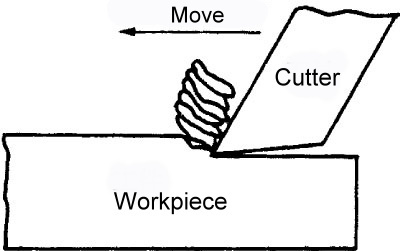 The three kinds are just basic types of cutting. The actual cutting chips are mostly the composite form among the three; And the crumbs of blade caused by cutting is the form other than the three. For these generated forms, the chip shapes can be roughly divided into a vortex-like, helical and sheet-breaking chip. 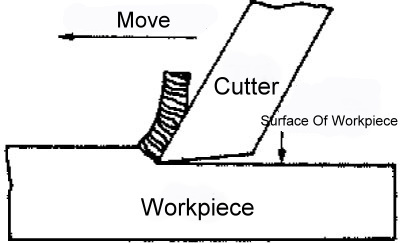 The most significant feature of the milling cutter cutting is interrupted cutting, the chip length of vortex-like and spiral chip is usually the cutting width, the equivalent of the cutting edge to be cut into the work piece to leave the length of work material, which cutting chip belong to a continuous form and cut the shape; As for crack-shaped chips, like the cutting of cast iron, it will be broken into a broken flake chip during halfway. As for steel cutting, if you use the cutter with chip breaker gap or welding scar wear occurs, it can also produce the same chip.